and a 3-Year Product Warranty. Get an accurate count of foot traffic into your store. The Accurate One People Counter setup at your doorway counts customer traffic for you. Knowing your People Traffic Totals tells you your actual business potential. Your sales opportunities for that day. With this Count YOU can Create a More Effective Business Strategy! Compare this People Traffic Totals with the number of sales, your turnover, your sales staff hours and advertising costs. Calculate these ratios and use them to create a more effective business strategy. 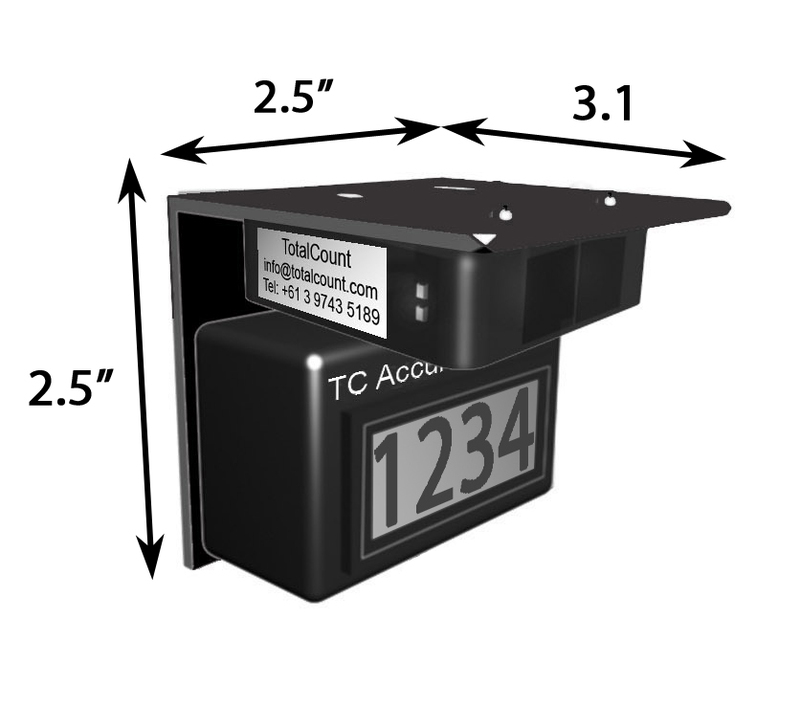 The AccurateOne People Counter setup at your doorway counts people as they enter and leave. At the end of the day you divide the total on the counter by 2 and you get your people count. The AccurateOne suits counting visitors or customers to retail shops, libraries, visitor information centers, Museums, Art-Galleries and Tourist attractions. The AccurateOne comprises a Photo Electric Sensor and Counter Module on a single Black mounting bracket with a Power Adapter to suit USA power outlets. The sensor is positioned looking across at its Reflector. The AccurateOne is the result of 10 years of experience in supplying and installing People Counters. And this includes Shipping to anywhere in the US or Canada! 1.The Sensor and Counter Module are on a single mounting bracket. The unit is simple to install with only 2 screws or even double-sided tape. 4. 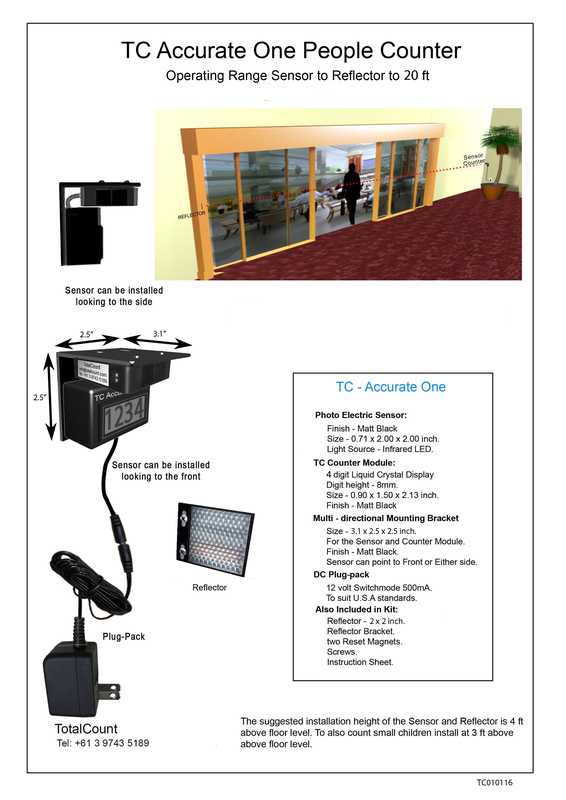 The Sensor can cover an entrance of up to 17 feet. Suiting most shop entrances. 5. The attractive Matt Black color and totally silent operation make it ideal for a shop environment. 6. Reset the Count to Zero using a Magnet applied externally to the right of the LCD – two Magnets are included in the pack. 7. The unit is quite small so it can be discreetly setup at the entrance to your shop. Take this step now to improving the profitablilty of your business. Why this is such a good offer! For The United States and Canada You can expect delivery in 5 to 12 working days from placing your order. P.S. And Here is another GUARANTEE!